Vol Network | Clarksville Sports Network - Clarksville Tennessee's most trusted source for sports, including Austin Peay State University. Nashville, TN – The No. 8 Tennessee Vols is set for a rematch of last year’s tournament championship, taking on No. 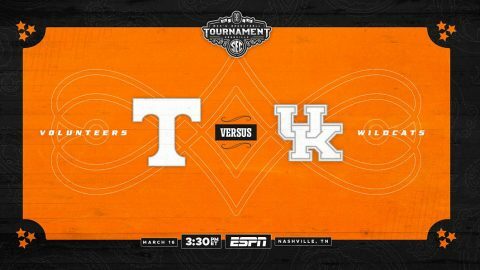 4 Kentucky in the semifinals of the SEC Tournament on Saturday, March 16th. The game will tip at approximately 2:30pm CT and will be televised on ESPN and can also be viewed online through WatchESPN. Fans can listen live on their local Vol Network affiliate to hear Bob Kesling and Bert Bertelkamp describing the action. Tennessee (28-4, 15-3 SEC) claimed the No. 3 seed in the tournament and earned a double bye. Auburn, AL – No. 5 Tennessee Vols will have a chance to repeat as SEC Champions on Saturday, as the Vols travel to take on Auburn in the regular-season finale. The game will tip at 11:00am CT and will be televised on ESPN and can also be viewed online through WatchESPN. Fans can listen live on their local Vol Network affiliate to hear Bob Kesling and Bert Bertelkamp describing the action. 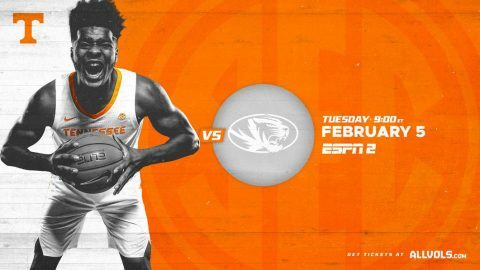 Tennessee (27-3, 15-2 SEC) has never won back-to-back conference titles in program history, and a win against the Tigers would clinch at least a share of the SEC Title. 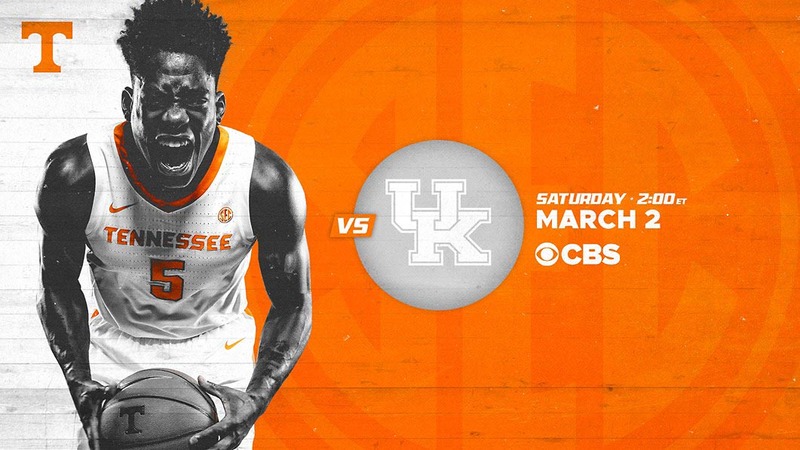 Knoxville, TN – With major SEC Title implications on the line, the seventh-ranked Tennessee Vols is set for another top-10 clash Saturday, hosting No. 4 Kentucky in a sold-out Thompson-Boling Arena. The game will tip at 1:00pm CT and will be televised on CBS. Fans can listen live on their local Vol Network affiliate to hear Bob Kesling and Bert Bertelkamp describing the action. With a chance to repeat as SEC Champions, the Vols (25-3, 13-2 SEC) are currently in a 3-way tie for first place in the league with the Wildcats and LSU. UT clinched a top-4 seed and a double-bye for the conference tournament with a win on Wednesday at Ole Miss. Oxford, MS – With only two weeks remaining in the regular season, No. 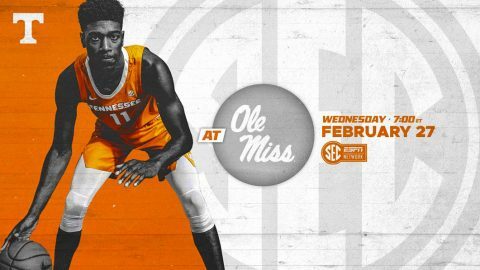 7 Tennessee will begin its final push for a conference title Wednesday night on the road against Ole Miss. 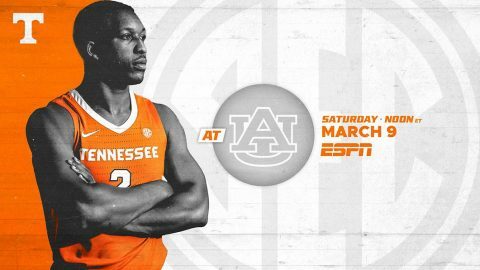 The game will tip at 6:00pm CT at The Pavilion at Ole Miss and will be televised on SEC Network and can also be viewed online through WatchESPN. Fans can listen live on their local Vol Network affiliate to hear Bob Kesling and Bert Bertelkamp describing the action. With a chance to repeat as SEC Champions, the Vols (24-3, 12-2 SEC) are currently in a 3-way tie for first place in the league with Kentucky and LSU. Baton Rouge, LA – No. 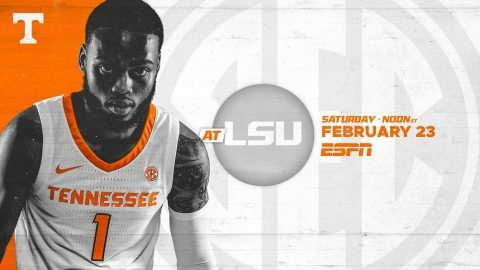 5 Tennessee Vols basketball is back on the road Saturday, taking on the 13th-ranked LSU Tigers in front of a sold-out crowd at Pete Maravich Assembly Center. This will be the second top-15 road matchup for Tennessee (24-2, 12-1 SEC) in the last week. The Vols fell to then-No. 5 Kentucky last Saturday before responding with one of their best defensive performances of the season against Vanderbilt on Tuesday. 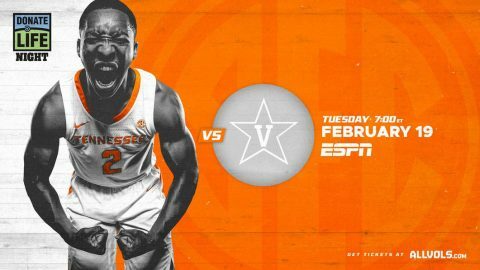 Knoxville, TN – Coming off its first loss in SEC play, the fifth-ranked Tennessee Vols will look to bounce back against in-state rival Vanderbilt Tuesday night at Thompson-Boling Arena. The game will tip at 6:00pm CT and will be televised on ESPN and can also be viewed online through WatchESPN. Fans can listen live on their local Vol Network affiliate to hear Bob Kesling and Bert Bertelkamp describing the action. Tickets for the game are still available at AllVols.com. The game has been tabbed as Donate Life Night. “The goal for Donate Life Night is to encourage Tennessee fans to take action and register as donors,” said Tennessee Assistant Athletics Director Tom Satkowiak, who underwent an 11-hour liver transplant surgery in October. Knoxville, TN – No. 1 Tennessee Vols Basketball returns home Tuesday night for the first matchup of a three-game homestand, hosting the Missouri Tigers at Thompson-Boling Arena. The game will tip at 8:00pm CT and will be televised on ESPN2 and can also be viewed online through WatchESPN. Fans can listen live on their local Vol Network affiliate to hear Bob Kesling and Bert Bertelkamp describing the action. The Vols (20-1, 8-0 SEC) are coming off two road wins at South Carolina and Texas A&M, giving Tennessee its longest winning streak in program history at 16 straight victories. College Station, TX – Riding a 15-game win streak, No. 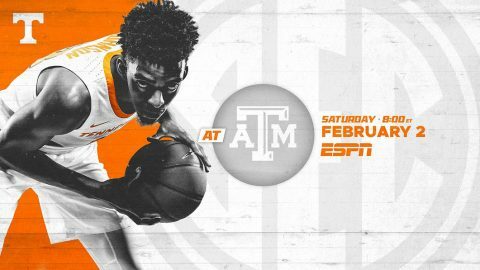 1 Tennessee Vols basketball team has a chance to set the program record for consecutive victories Saturday night on the road against Texas A&M at Reed Arena. The game will tip at 7:00pm CT and will be televised on ESPN and can also be viewed online through WatchESPN. Fans can listen live on their local Vol Network affiliate to hear Bob Kesling and Bert Bertelkamp describing the action. The UT record for consecutive wins has stood for more than a century, dating back to a 15-game stretch during the 1915-17 seasons.